For many years, I kept a journal. Almost daily, I would write and write about everything from the sublime to the ridiculous. I kept these journals for nearly 12 years. Recently, I was looking back over them, and it hit me: I stopped writing at just about the same time that my life began to unravel. I’m a recovering alcoholic, and those pages chronicled a journey I didn’t even know I was on: a slow, spiraling descent into alcoholism. I stopped writing when I didn’t want to tell myself the truth anymore, when the words on the page were too ugly and stark. I didn’t want to face my burgeoning problem, so I simply stopped writing. It wasn’t as if I was writing about drinking—quite the contrary, in fact. The evidence appeared on the page nonetheless, though, in the form of tear stained pages, illegible handwriting, and rants about things I couldn’t remember doing the next day. There is one entry, though, that hit me like a punch in the gut. I wrote it in 1997, 10 full years before I stopped drinking. It said: “I feel like I’m standing on the edge of something dark and powerful. If I’m not careful it will swallow me whole.” I knew at the time I was writing about drinking, but something about actually writing the words—I think I have a problem with alcohol—breathed life into my problem, turned it into something real. Shortly after this entry I stopped writing completely. I find myself now, over two and a half years sober, writing to breathe life back into me. I started a personal blog last May, with the intention of promoting my little handmade jewelry business. I envisioned a few quippy entries about Life in the Craft Lane … that sort of thing. I had no idea it would morph into reflections about life, recovery, addiction. All I knew is that once I started writing about it, the words poured out—writing brought emotions to the surface I didn’t know I was having until I saw them there on the page. I was healing, and I was inviting the world along for the ride. This sparked an idea I made a reality about two weeks ago. I launched a new blog, called Crying Out Now. I wanted a platform that could bring writing and recovery together. My first thought was a book, a compilation of stories by women, mothers, who struggled with addiction and who were now sober. But a problem remained: how on Earth do you get people to tell you their story? How do you get them to trust you enough? And then there was the very real problem of identity. Most people in recovery aren’t open about it. The whole process is shrouded in secrecy and anonymity, and for good reason. Very few people want the world to know about their struggles with addiction, particularly women, and most particularly mothers. But what about a blog? A place where women can come dump their struggles and triumphs—on the internet, where you can hide behind a digital identity of your choosing. I had no idea if it would work, but I thought it was worth a shot. I created the blog, tweeted about it, facebooked about it, blogged about it. Through the power of social media the response was immediate, and overwhelming—in a good way. It turns out people were aching to tell their stories—sometimes to metabolize struggles, sometimes to trumpet victories. A place where they can feel the healing power of writing, as well as receive the immediate gratification of hearing peoples’ responses right away. I was clear about the rules: you don’t need to be a writer to contribute. You can create an anonymous e-mail account and submit your story without fear of discovery. You don’t even need to be sober. You just need to tell your truth. Just write it down. Make it real. Many of the stories are beautifully written. Some are not. It doesn’t matter. People who have never, ever spoken to another person about some of the darkest, life changing moments of their lives are writing about it. Most send e-mails to me afterwards, telling me they feel cleansed, validated, loved. 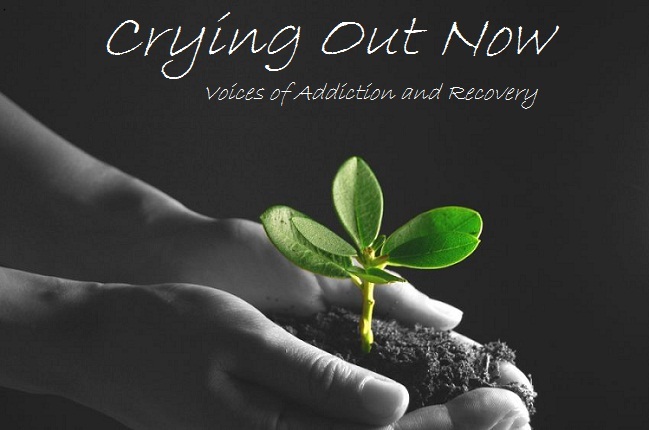 Stop on by, if you’d like: www.cryingoutnow.com. wow, incredibly powerful post and powerful outlet you’ve created for these women, ellie. wonderful that you are able to share your struggles, and in turn, provide a safe place for other women to share theirs. i can only imagine how cleansing and validating it is for them and for you. i’ve never battled alcoholism, yet i’ve experienced another “illness” that many people are hesitant to talk about. my mother committed suicide at 54. i would have loved to have a forum like the one you created as i struggled through that time (and still often do). bravo to you for sharing and reaching out. thank you, ellie. what a wonderful idea. What a beautiful and POWERFUL venue you are offering people who might feel like they are powerless. I can testify to the therapeutic effect of writing. I am blogging about my recovery from depression and Borderline Personality Disorder, and it has helped me tremendously – not only in allowing me to express my thoughts and feelings, but also to connect with other people who are also struggling. I am a huge advocate for journaling!! It’s amazing what I can tell my bff- the journal…..and i always get answers!!! May not be what I wanted to hear, but if i keep asking the questions, many questions, different questions and in different ways. I learn, I grow and I have more energy to Go!!! To be happy!! We all struggle! Glad to see that journaling helped you too!